Of particular interest in both summits are the countries included other than conventional G8 and NATO members. G8+5 nations (Brazil, China, India, Mexico and South Africa) will attend the entire G8 summit, held from May 18-19 at Camp David. President Barack Obama has also invited several African leaders to participate in the May 19 discussion on food security. Although NATO is a military alliance originally intended for North Atlantic nations, representatives from Eastern Europe, the Middle East, Africa and Asia will be in attendance. 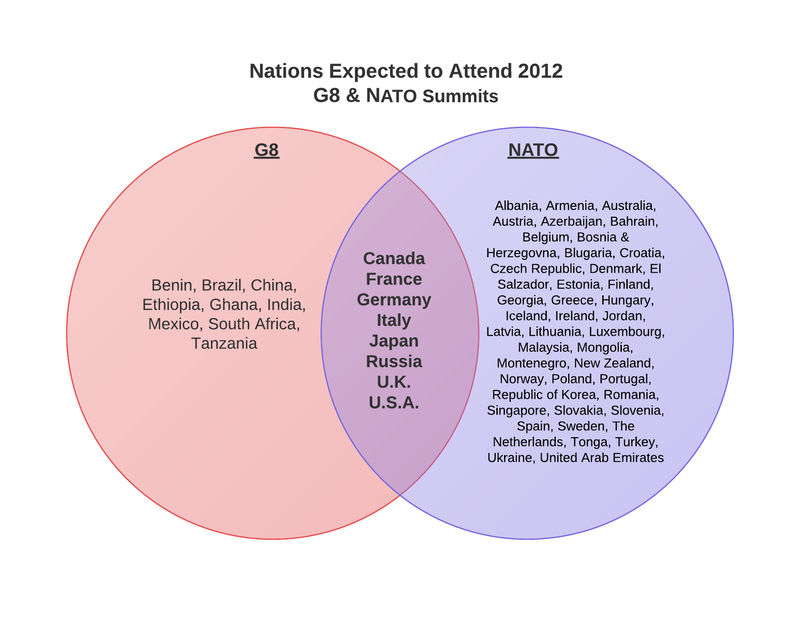 More than 60 nations are expected to participate in both the G8 and NATO summits. Only eight countries, the original G8 members, will be represented at both summits. Though all eight have high GDPs, domestic debt for the EU and U.S. are at all time highs, a problem complicated by foreign (or external) debt. The U.S. specifically has the highest totals in all three categories listed in the chart below: GDP, external debt and unemployment. G8 nations have, since 2008, faced rising debt and unemployment. Concerns over both should figure prominently in delegate discussions. 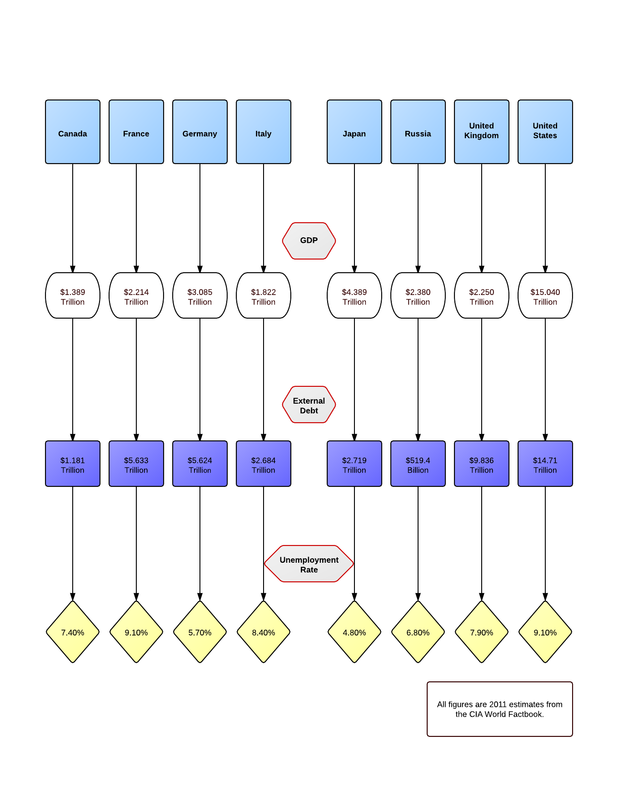 For this project, LucidChart was chosen with the intention of expounding on the key players article for The Red Line Project.